Aspa Therapeutics is working to develop a safe and effective gene therapy for patients with Canavan disease, a rare condition caused by an inherited mutation of the ASPA gene. Canavan disease is an extremely rare genetic disease that begins in infancy and progresses rapidly. While symptoms vary, many patients experience lack of head control, lack of muscle tone (often resulting in floppiness or spasticity) and seizures. Most children are not able to meet developmental milestones, and are unable to crawl, walk, sit or talk. Many pass away before the age of 20. The disease is caused by an inherited mutation of the ASPA gene, which encodes for an essential protein that is responsible for myelination in the brain. Myelin insulates the nerves, and without it, neurons are unable to send and receive messages as they should. The condition also affects important metabolic processes. 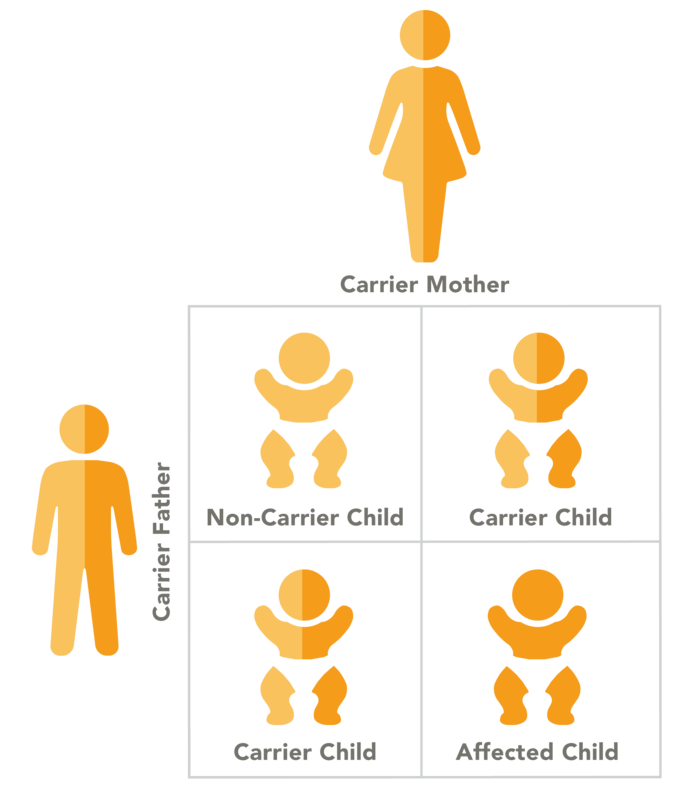 Canavan disease has an autosomal recessive pattern of inheritance, which means that a child with the disease inherited a copy of the mutated gene from each parent. In autosomal recessive conditions, parents are carriers of the gene, but generally do not experience the symptoms of the disease. Currently, there are no approved therapies for Canavan disease. The current standard of care is limited to supportive therapy. Aspa Therapeutics has partnered with the University of Massachusetts Medical School to advance their gene therapy program for Canavan disease and pursue a clinical trial. We understand that families who are coping with Canavan disease are highly concerned about their affected family member or members and are keenly interested in updates on our gene therapy program as well as other research in this area. We believe that the best way for families to stay up to date is by contacting our partners in the patient advocacy community, notably the Canavan Foundation, Canavan Research Illinois and the National Tay-Sachs & Allied Diseases Association. We will keep these organizations up to date on our progress in developing the gene therapy, thereby keeping the Canavan community up to date. Please note that we are not able to offer treatment to anyone with Canavan at this moment. It is only after we engage in much additional testing on the potential therapy and work with regulatory agencies like the FDA that we will be able to begin testing the therapy in people with Canavan. We are moving as fast as we can to get this therapy to patients in a safe manner. As our discussions with regulatory agencies proceed, we will be able to communicate a better sense of what the inclusion and exclusion criteria will be for clinical trials— in other words, which patients will be eligible to participate in the trial. Any experimental therapy such as a Canavan gene therapy involves risks, and we will be working with regulatory agencies to ensure that the potential benefits outweigh the risks in the patients to be treated, and of course those risks will be clearly communicated to patient families. Patients who are enrolled in our trials will receive the treatment free of charge. If you have questions that cannot be answered by our partners in patient organization, please email PatientAdvocacy@AspaTx.com. Canavan disease is one of a group of genetic brain disorders known as leukodystrophies. The disease comes as a result of mutations to the ASPA gene, which is responsible for creating an enzyme called aspartoacylase. 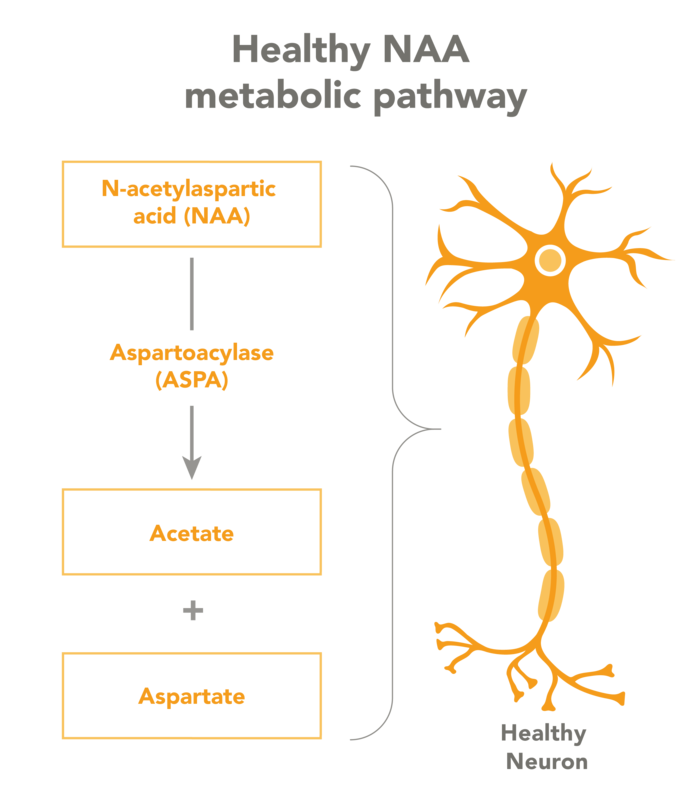 In healthy individuals, aspartoacylase breaks down a compound called N-acetyl-L-aspartic acid (NAA), which is found predominately found in neurons. But with a defective ASPA gene, NAA is not broken down properly and builds up in the brain. Through mechanisms that are not well understood, this buildup causes demyelination, or a loss of the myelin sheath that insulates and contributes to the proper functioning of neurons. 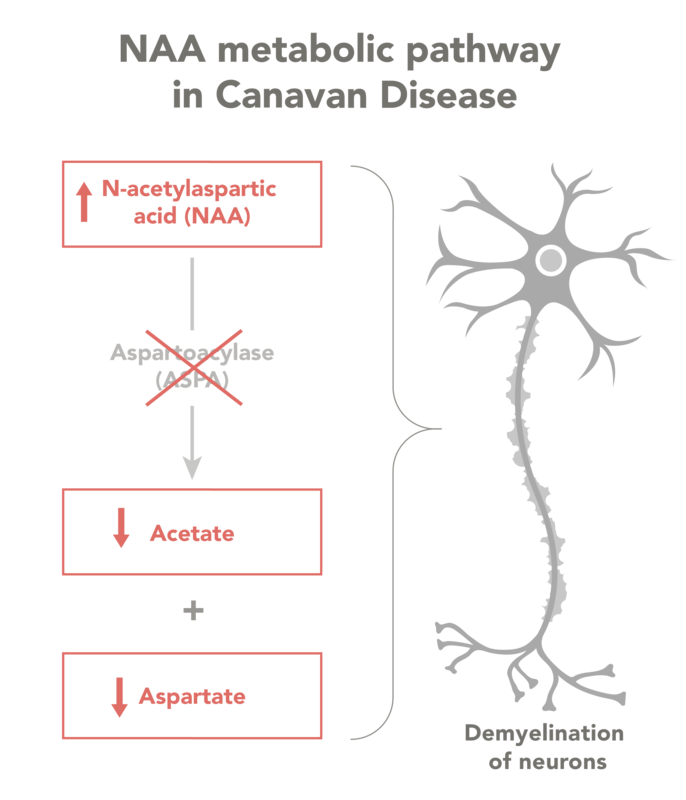 Aspa Therapeutics is working to create the first-ever approved treatment for Canavan disease. Using adeno-associated virus (AAV) gene therapy, we seek to deliver functional copies of the ASPA gene throughout the body and into the brain, correcting the disease. Our gene therapy was developed by Guangping Gao, Ph.D and Dominic J. Gessler, M.D. at the University of Massachusetts Medical School. Dr. Gao, a pioneer in AAV gene therapy, was also the first person to clone the ASPA gene in 1993, and has been working on developing a cure Canavan disease for over 25 years. While Aspa Therapeutics’ gene therapy for Canavan Disease is different from the gene therapy work being pursued by Paola Leone, Ph.D, she is another pioneer in the field of Canavan Disease who has been working passionately on behalf of patients and families for decades. We are proud to have her as an advisor to the company. AAV gene therapy has been safely tested in many other clinical trials for rare diseases. Proof-of-concept work in Canavan disease mouse models has shown that our approach restores survival and normal motor function in these mice. A portion of a healthy functioning NAA metabolic pathway. Changes in the NAA pathway as a result of Canavan disease. 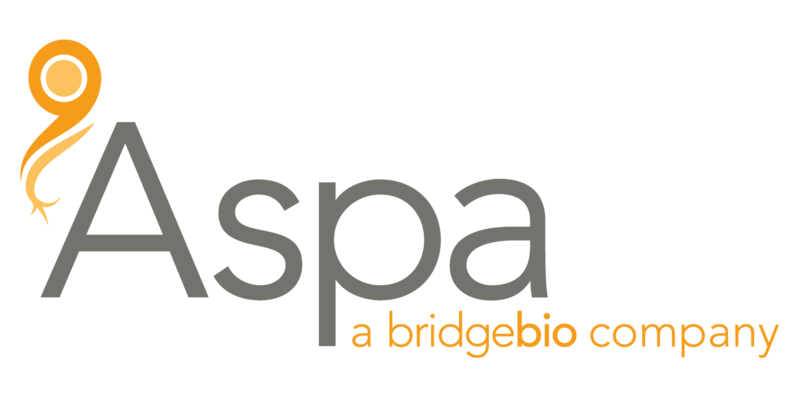 Aspa Therapeutics, a subsidiary of BridgeBio Pharma, is a biotechnology company focused on developing a treatment for Canavan disease, a devastating inherited condition without an FDA-approved therapy. Aspa is led by a team of veteran biotechnology executives. 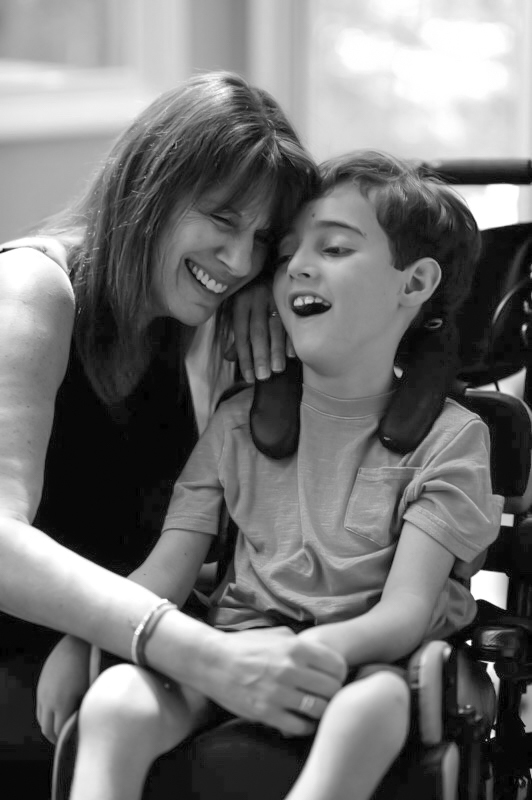 Together with patients and physicians, the company aims to bring a safe and effective treatment for Canavan disease to patients as quickly as possible. Eric Michael David, M.D., J.D. For any patient-related inquiries, please email PatientAdvocacy@AspaTx.com.